So you are moving to a new home and selling your old one? Sellers in this predicament will want to read this article to see what items will raise the value of your home. With all the work needed to hire a moving company and packing up your items, it’s no strange fact that moving is a stressful process. Add in selling a home and it can become very heavy on ones shoulders. Proper planning, preparation and execution of a plan will make the process easier. When moving to a new house you’ll likely be aware of the obvious items like cleaning after you move but what about the items needed to raise the value of your home? There is time and effort needed to properly address this issue, for instance how much work to you want to put into updating or upgrading your home to raise its value. Being mindful of items like painting, replacing flooring and updating landscaping are things not often thought about when a seller is moving to a new home due to their excitement of the new place. Make sure you consider the following tips to ensure the highest value of your home. Start from the outside – if you think that you can just leave your yard looking like a scene from a documentary about prehistoric times, you will be doing yourself a disservice. If your home has nice flowerbeds and landscaping you should not miss the opportunity to increase its curb appeal by neglecting it. Clean up the bushes, trees and shrubs, remove old furniture and make sure the patio and everything else outside is presentable. Renovate your kitchen – one of the most significant improvements you can possibly make in your home is your kitchen. 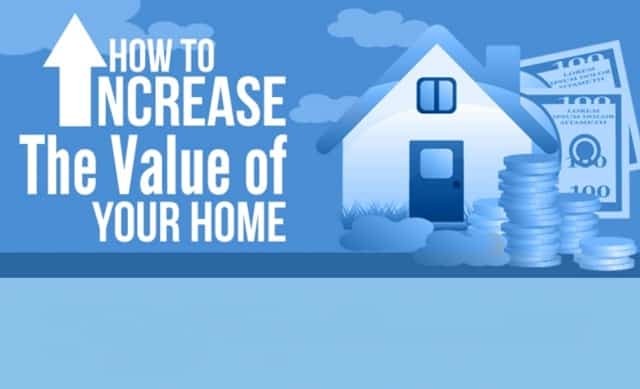 This is a sure way to increasing the value of your home. Kitchens are considered as showrooms for the entire home – if yours isn’t one that is desirable to the masses then you need to get to work. There’s no bigger turn-off to a buyer than an outdated kitchen with problem areas. Renovate the bathroom – the bathroom is another important area of your home that can easily tip the scales in your favor. Carefully consider the size of the bathroom in order to determine what design and layout will work best. Invest in a modern look, good vanity and shiny fixtures. Add extra space in your home – nowadays everyone seems obsessed with finding more space and storage. For this reason it is important to keep in mind that the home you are selling should feel more spacious and open. While adding space is never the most inexpensive solution, you can bet that it will make a huge difference and increase your square footage which also increase your value. If this is an option on your mind there’s no better time than moving time to add some space. Implement some or all of these ideas and you can be assured to be properly positioned to be in the best value to sell your home. Evaluate your old home investment and do keep in mind that it is not necessary to do all at once. You can start early and work towards a future-oriented payoff. To get more information on tips like this, check out our articles 5 Steps to Increase Home Values and Tidy Your Way To A Market Ready Home. For more information and tips to raise the value for your home, please contact us or leave a comment below. We’d appreciate the opportunity to assist you!